Coup d'etat Art Gallery ribbon-cutting ceremony was held on Friday, May 1, 2015. 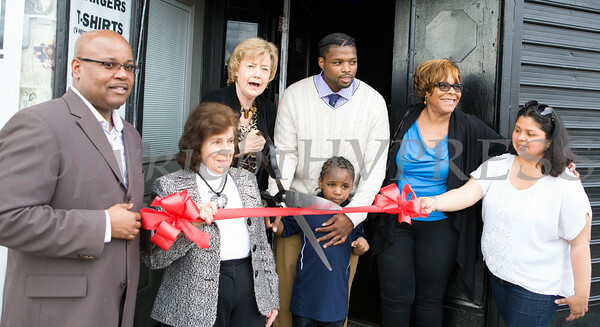 Newburgh Enlarged City School District Board of Education President Phillip Howard, Deputy Mayor Regina Angelo, Mayor Judy Kennedy, Coup d'etat Art Gallery owner Damel Di'Yari, Councilwoman Cindy Holmes (Ward 4), Councilwoman Karen Mejia (Ward 1) cut the ribbon during the grand opening ceremony of coup d'etat Art Gallery on Friday, May 1, 2015. Hudson Valley Press/CHUCK STEWART, JR.